Rockville, Md., July 25 – David Trone, the founder and owner of Total Wine & More strode into RespectAbility’s office along with his assistant, Eric. Trone shone coming down the hallway with a bright canary yellow tie and a full head of glistening salt and pepper hair, a little more salt than pepper these days. As Trone made his way to his seat at the head of the table, he personally greeted RespectAbility fellows and staff. Trone and his brother, Robert, created the largest U.S. alcohol retailer more than 25 years ago. On July 10, 2017, he joined RespectAbility Fellows and staff to share his advice on leadership, philanthropy, service, and his nephew’s struggles with opiate addiction and the impact on his family. Recently, following his nephew’s overdose, Trone published an important and potentially life-saving op-ed on the opioid crisis. Leadership and emerging leaders have become passions of the Trone brothers in recent years. Rockville, Md., July 25 – As a native from St. Louis, Missouri, Calvin Harris is no stranger to disability advocacy. 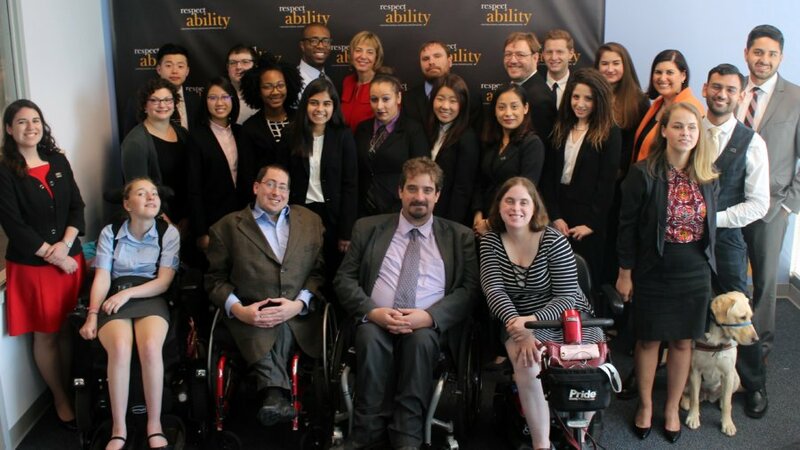 Harris’ mother worked in the neuromuscular lab at the Washington University School of Medicine, which created a path for Harris’ passions for disability advocacy. Harris volunteered with disability groups, most notably, serving as a camp counselor for the Muscular Dystrophy Association’s Camp for Kids, where he befriended many kids with MD. 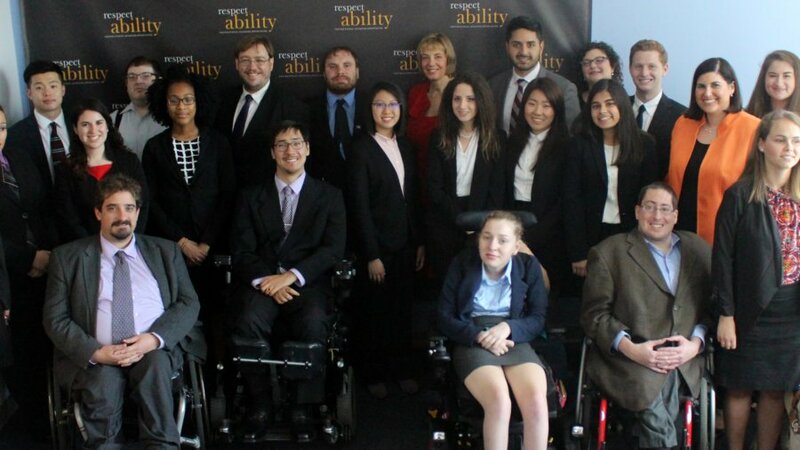 “The work of RespectAbility is critical to ensuring that my friends from MDA Camp, as well as the 56 million Americans living with a disability, have an opportunity to participate in all aspects of our community,” said Harris, who became the Chair of RespectAbility’s board earlier this month. 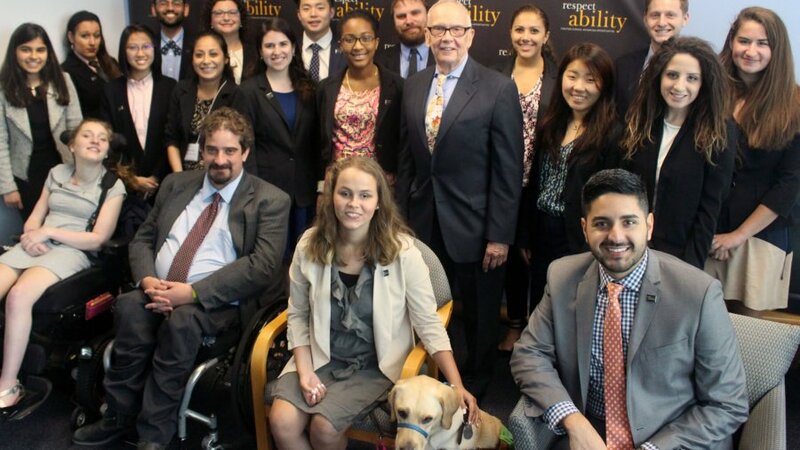 As the current senior manager of public affairs at the Bipartisan Policy Center, Harris has not strayed too far from disability advocacy. He was the first treasurer of RespectAbility and continues to embody the spirit of an advocate. As treasurer, Harris oversaw fundraising efforts, approved budgets and ensured the organization was compliant with state laws and regulations. 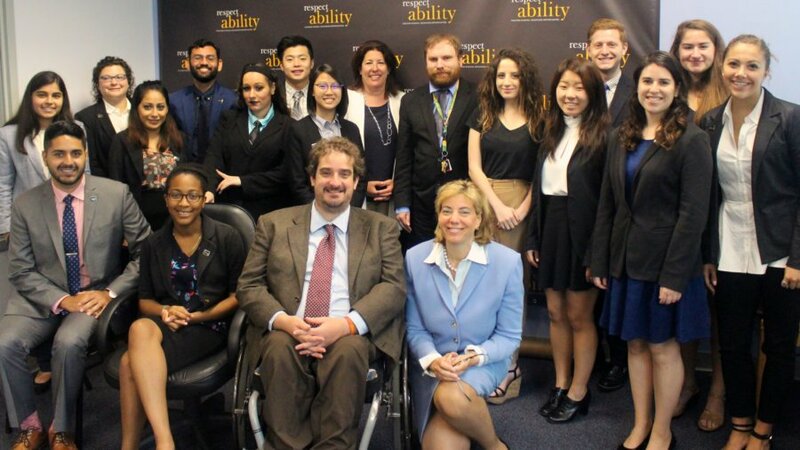 As a new set of board of directors and advisors transitioned earlier this month, it was Harris’ spirit and dedication to ensuring opportunity for people with disabilities that propelled him to become the new chairman of RespectAbility. Rockville, Md., July 20 – “What is your story? How did you overcome your struggles?” These were the central questions that Judith Creed, a passionate mother, sought to address during her talk with the RespectAbility Fellows and staff on Monday, July 10. Creed, a founding member of Judith Creed Homes for Adult Independence (JCHAI), brought with her a very unique story of how she overcame adversity as a mother of a child with developmental disabilities. Most importantly, she has challenged many individuals with cognitive and developmental disabilities, including her own son, Jonah, to conquer their struggles. After graduating from Temple University with a master’s degree in speech-language pathology, Creed was committed to treating speech, language, social communication, cognitive-communication and swallowing disorders in children and adults. Despite her familiarity with working with individuals with disabilities, when she gave birth to her son, she could not help but be overcome with fear and shock. Jonah, who is now 45 years old, was born with significant developmental disabilities. 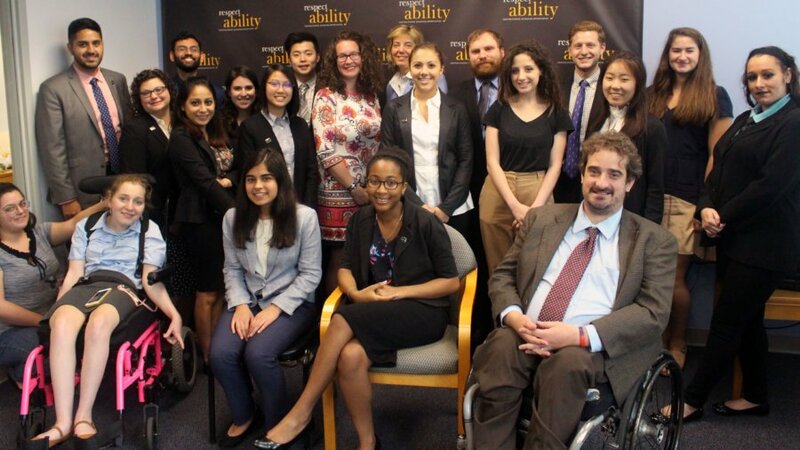 Rockville, Md., July 3 – Considering himself a second-generation disability activist, Andrew Imparato took RespectAbility Fellows on a journey of disability civil rights history last month. He demonstrated how he has dedicated his career to defending and implementing these rights. 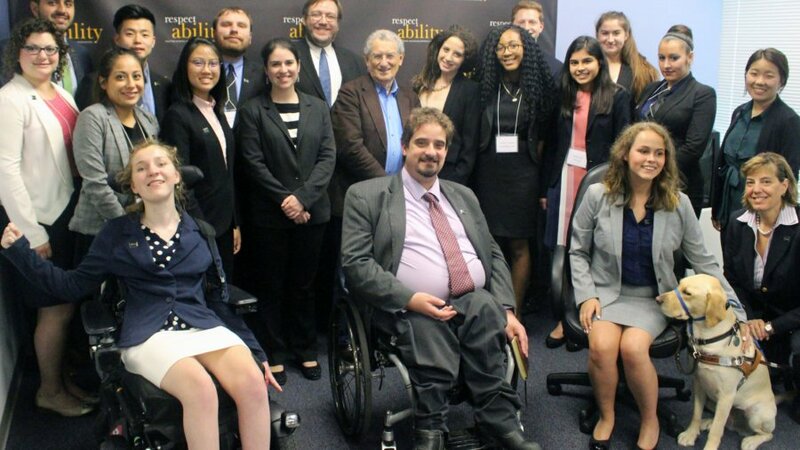 Throughout his talk, Imparato focused on the importance of integrating disability history as part of K-12 and higher education, stating that this important part of civil rights history often is excluded, resulting in a missed opportunity to educate all Americans about this part of our history. 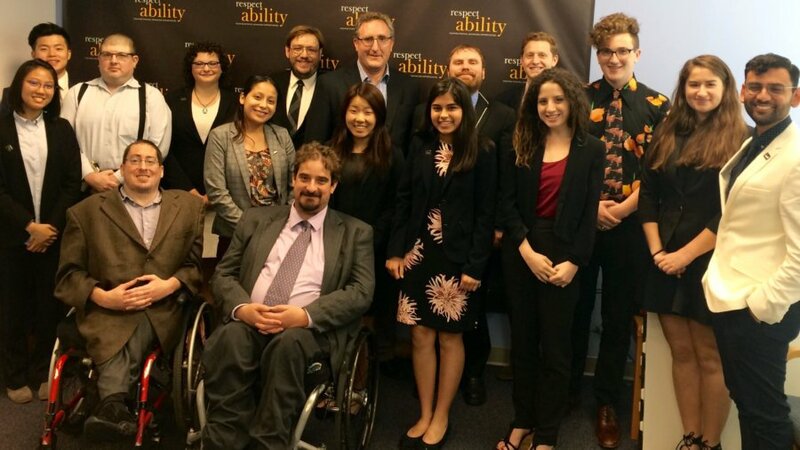 Imparato’s path as a disability activist began in the summer after graduating from law school. His interest in pursuing public interest law led him to work helping people with appeals of denials of federal disability benefits at Cambridge & Somerville Legal Services. 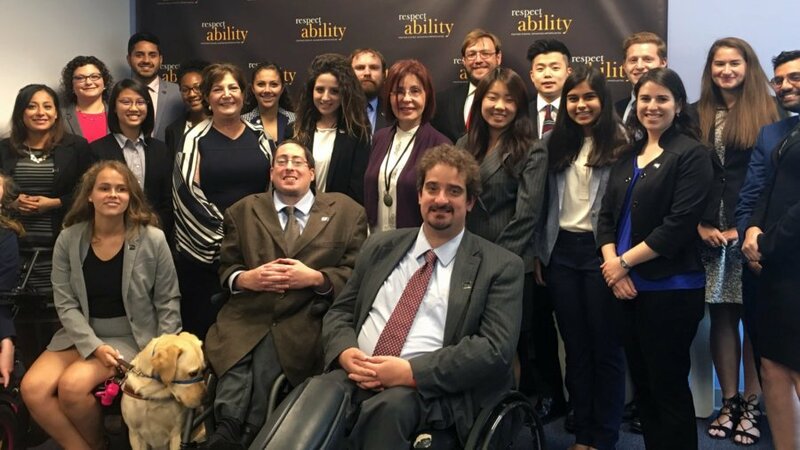 Imparato’s experience continued to grow when he took a fellowship with the Disability Law Center, where he educated low-income families and Boston City Hospital clinicians and staff in how the disability benefit system works. Rockville, Md., July 1 – With a great smile and warm-hearted tone of voice, Randall “Randy” Duchesneau was quick to capture the attention of RespectAbility Fellows last month. His empathetic persona, brilliance and prominent leadership skills truly reflected on his work as a disability activist. Duchesneau is on the board of advisors for RespectAbility where he previously served as the National Leadership Program Director. His journey as a disability advocate started after he acquired a spinal cord injury that left him with quadriplegia at the age of 21. Despite facing challenges with health care and the personal complications that come from depending on personal assistance to survive, Duchesneau has used his experience to help others. He is working toward improving the quality of life of people with disabilities, like himself. Through his talk, Duchesneau focused on two critical topics involving people with disabilities: Attendant Care Services covered by Medicaid and awareness of the role ethnicity and culture can play in developing community among people with disabilities. 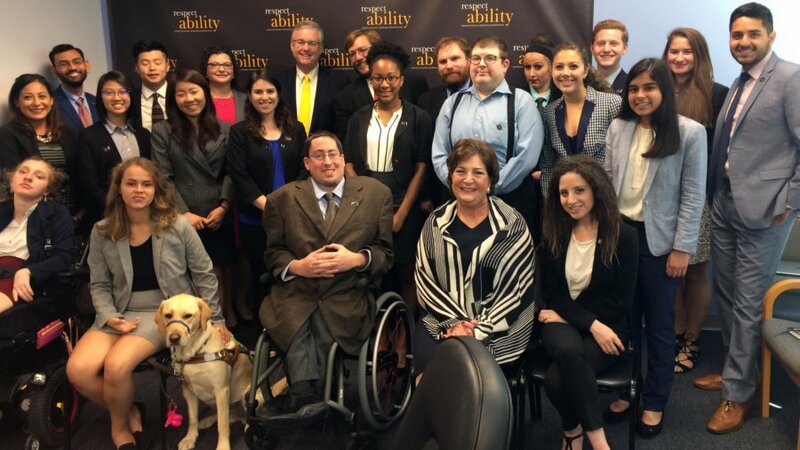 Rockville, Md., June 30 – “Disability policy – we need to make sure that our policies and good intentions are followed up with good practices and actions,” advised Curt Decker on a bright Wednesday afternoon. Serving as the current Executive Director of the National Disabilities Rights Network (NDRN), the largest non-governmental enforcer of disabilities rights, Decker is an integral member of the disability rights movement. As a passionate and motivating speaker, he delivered great insight and important information about the support systems presently in place for people with disabilities experiencing injustice. Rockville, Md., June 30 – As the Fellows in RespectAbility waited in the conference room for a leading pollster to enter the room, the intimidation increased after being told how important this person is. Stanley B. Greenberg is a world-renowned pollster and New York Times best-selling author. He is known for advising business leaders with a broad knowledge of social and modern economics, along with being a polling adviser to presidents, prime ministers and CEOs globally. He has conducted deep research in more than a dozen countries. 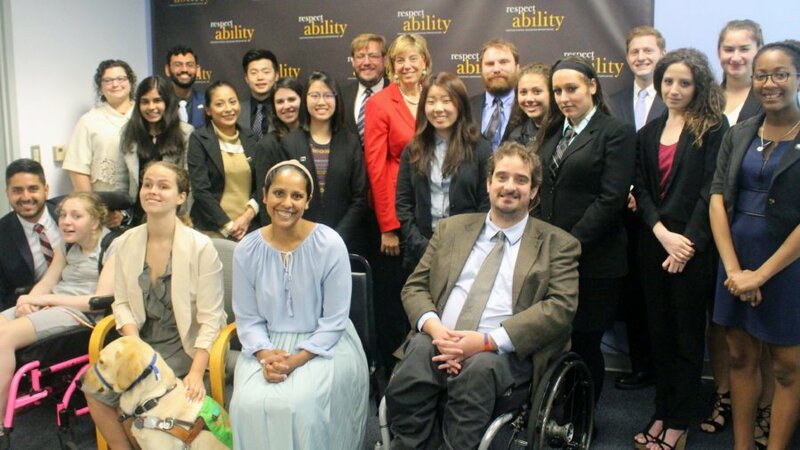 Greenberg visited the RespectAbility office to meet with the Fellows. He previously teamed up with the organization by conducting polling on voters with disabilities in comparison to voters without disabilities. He also conducted a focus group with Republicans who work on Capital Hill and what they know about people with disabilities.